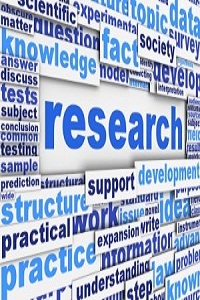 While each research project and each researcher has different ideas about the importance and application of a research project, most agree that there are three distinct purposes of gathering information. The first, and perhaps most applicable to professional journals and academia, is Fundamental Research. When a theory is developed and in turn the related hypothesis is tested to determine support for the theory, we are gathering fundamental knowledge about a particular topic area. The purpose of fundamental research is to gather information and advance a particular field of knowledge in order to better understand it and eventually apply what we learn. Applied Research, the second of the three, relates to the actual application of the fundamental knowledge. If we completed a project that supported the idea that work experience increases college performance, we may then want to apply this new knowledge to the college population. An example of applied research, using this example, might include a work program for high school seniors or college freshmen where students would be placed in one of two groups: completed work program and no work program. By taking a baseline of performance for each of these groups, we could then measure their subsequent performance to determine if the work program increased, decreased or had no effect on their college performance. The purpose of applied research, hence, is to improve or develop new programs and initiatives that will ultimately improve the lives of individuals. The final type of research is less formal than the first two. Action Research often takes place within an individual classroom or department. Teachers, managers, or team leaders are typically involved in the research process and the results are usually not intended to be generalized to a larger population. For example, if the performance of your class is below expectations, you may implement different techniques aimed at improving grades, attendance, or participation. As you implement these new techniques you may begin to see a trend in the classroom. Technique one may reduce male participation but increase female participation; technique two may increase both but reduce grades; technique three may decrease both but increase class attendance and participation. Based on results from these applications, the teacher, manager, or team leader can redesign activities, policies, and techniques in order to improve performance. Action research is less rigid in that there is rarely ever a control group, the procedures are not necessarily standardized, the outcome is often subjective and the intent is not to publish. On the other hand, action research can be a highly effective way to improve situations within a specific classroom or department.